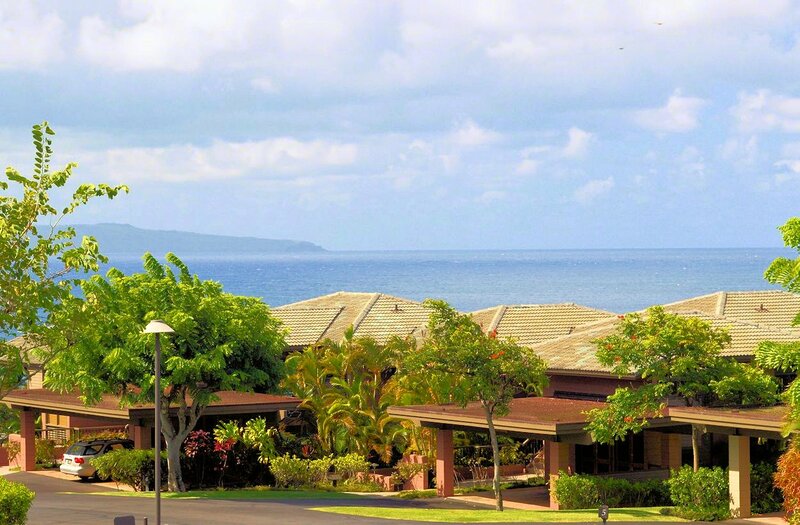 Overlooking Oneloa Bay to the blue Pacific, The ridge offers impeccable views of the Kapalua shoreline. Designed by Architect Hans Riecke, the design was created to maximize views, space, and to blend harmoniously with the land. The Ridge features low-rise clusters of five and six unit buildings with five unique apartment designs on two entrance levels. All units feature covered parking and exterior storage space. The Ridge offers a choice of five floorplans from 1338 square feet one-bedroom, two-bath units to 2,200 square feet two-bedroom, three-bath units. Extra large covered lanais extend bedrooms, living, and dining rooms to maximize views, create privacy, and facilitate outdoor access. 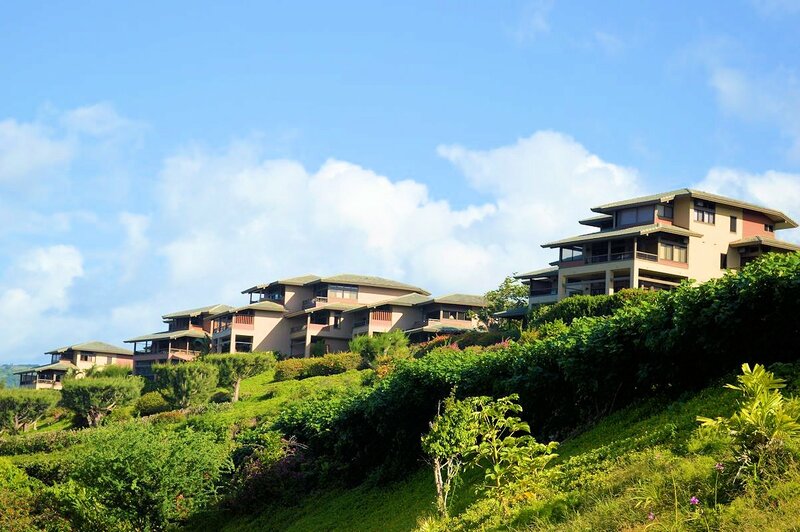 The Ridge Villas all incorporate large kitchens, bathrooms with spacious dressing areas, and oversized closets. Many units feature wet bars and all units have washers and dryers, generous outdoor storage areas, and covered parking for residents. The complex features two swimming pools with party spaces and barbecues.